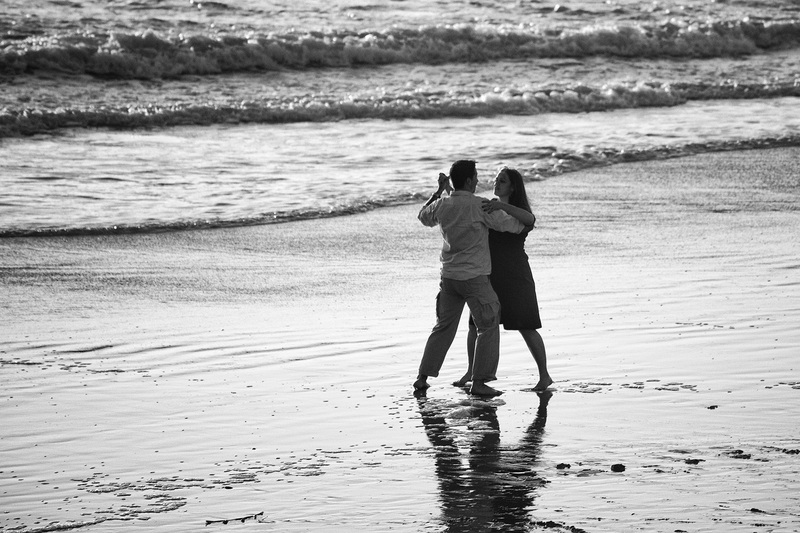 A couple breaks into an impromptu dance on Santa Monica Beach, bathed by the last few glorious rays before the Sun sets. Thanx Sue! I was quite lucky to be walking around with a telephoto lens on the camera as it was but a fleeting moment. Thanx Sue for the reblog!! This is in an incredible image capturing a one-of-a-kind moment. Thanx brandi! I am usually a planner and I do not do shoot candids very often. I am starting to enjoy it so I will try to go out there and shoot more often! How beautiful is this! I can hear the waves and I can almost hear the violins playing in the distance. Thanx you very much roweee! Very poetic! Thanx Wambui for dropping by! Thank you very much Debbie! so romantic and intense… love it! Thanx Talker for the visit! Glad you enjoyed it! Reblogged this on Poise Matters. Thanx Lori for the reblog and for dropping by! Such a beautiful photograph, I love it! My oldest son lives in Santa Monica, I will have to show him. A very nice photo of a couple that in Santa Monica that looks like they might have caught a touch of crazy love. Ha, good choice for WP theme. Beautiful – I love it!